Experimental stories capture the frustration of unrequited love in a book filled with literary innovations. 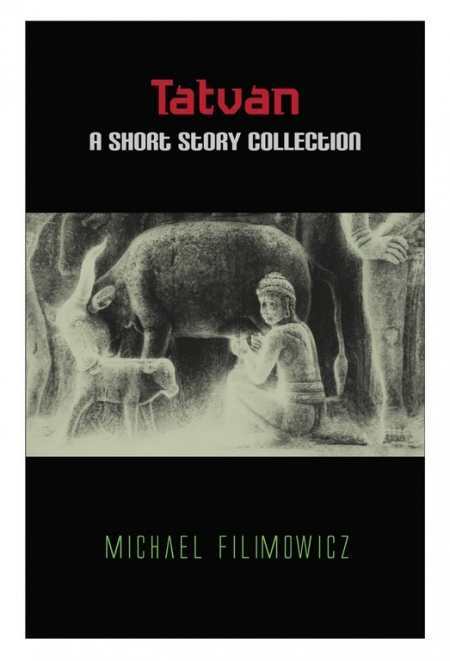 Tatvan, a collection of experimental short stories by newcomer Michael Filimowicz, features fluid perspectives and an intensely atmospheric style. Stories range from the purely fictional to the semi-autobiographical, from gritty reality to science fiction. While some readers may become frustrated by Tatvan’s many dangling plots and randomness, others will enjoy it as a set of dynamic expressionist pieces. Within the same story, the writer might swing into omnipotence, take on the perspective and prejudices of a single character, or give voice to something completely inhuman. In some cases, particularly “Apocalypse Triptych” and “Constanta Suite,” this fluidity works fairly well. Characters are memorable despite their brief moments in the spotlight, and the tales acquire broader scope. But in other stories, characters seem almost interchangeable. This occurs most notably between “Sounding Stella” and “The Pool Hut,” where each unreachable intellectual woman and each guitar-playing man could be the same people in new settings. Broadly encompassing motion and travel, Tatvan more specifically deals with a sensitive man’s desire for a woman beyond his comprehension. Often this appears in the twin characters of a rooted man inspired and abandoned by a wise woman. This pattern contributes at times to a sense of repetition. The woman-on-a-pedestal theme becomes central in “Sounding Stella” and “The Pool House,” two solid entries in this compilation, but there is hardly a story unmarked by totemic mobile power women. Despite the status of “Amarylis Sluys” as a Pushcart Prize nominee, there are many other good pieces in this compilation. “Jack the Satellite Jockey” features an eerie and immersive world coupled with a believable denizen of the Earth’s orbit. While the title may suggest a romantic space opera, even readers uninterested in science fiction will appreciate Jack’s lonely vigil in the sky. “Back Roads” is an interesting piece of perspective fiction that merits re-reading. Here, the very absence of the characters, progressive throughout the story, implies that the characters are in fact dying. Each story features a number of literary innovations—some work, and some don’t. A few of the more abstract tales in this volume, particularly “Constanta Suite,” don’t seem to want to be read, while others—particularly “Sounding Stella”—remain avant-garde but follow conventions of mainstream literary fiction. The result is an uneven compendium of tales which will appeal in some spots to certain audiences, and in other spots to completely different ones. This makes Tatvan difficult to recommend to anyone other than writers who are also interested in experimental fiction. Tatvan displays good potential in an undeniably brave new author. While esoteric, the collection will interest other writers and industry watchers looking for something experimental.